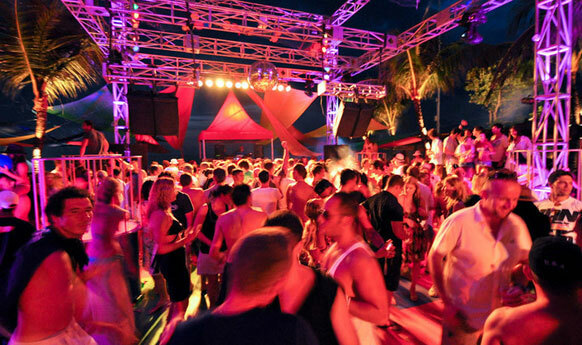 THE MOST FREQUENTED GILI ISLAND is home to the best beach parties in Indonesia. Set out on foot towards the south of the island and you’ll find chilled sunset bars, live percussion gigs and bonfires near the beach. Closest to the boat landing, the Rasta bar is known to go off most nights of the week, and there’s a plenty of sports bars where you catch the footie and have a few social pints between the Art Market and Scallywags Resort. Check out Paradise Sunset Bar for the best roast chicken on the island, served with a side of unbeatable sunset vistas and an icy margarita to wash it all down with. It’s highly recommended by TripAdvisor. We have to admit, we loved it too. Only have a weekend to take it all in? 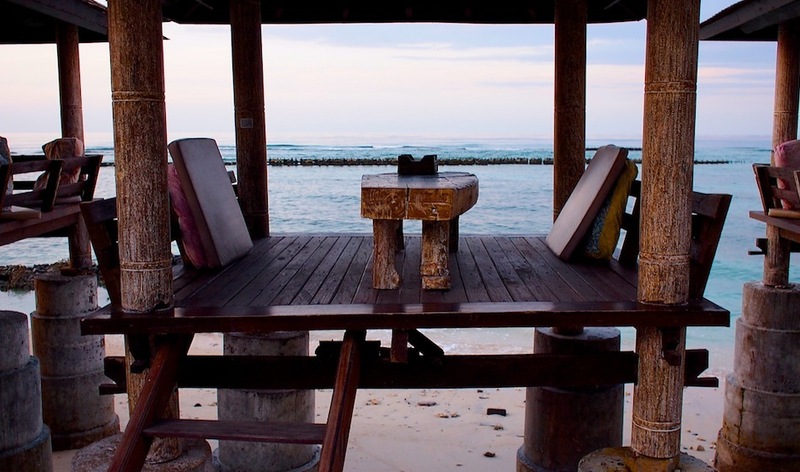 We catalogue the best in class for food, drink and nightlife on Gili Trawangan. Happy hour starts early on Gili Trawangan. You’ll land on the dazzling shores in time for a cocktail brunch. The cafes near the boat landing do a pretty good Pina Colada, but expect to pay Bali prices. Still, it’s a good spot to soak in the hippie-chic atmosphere, wind your watch back to island time and contemplate your weekend ahead. Go hard partying till the break of dawn? Take it easy and catch up on much needed r&r? Or try something new, like freediving or get your PADI. The possibilities are endless. Sadly, the weekend, is not. After you’ve checked in, you might want to get some beach and snorkelling time in, or just have a mosey around the place. Renting a bicycle is a great way to do some exploration around the main bits, but if you’re planning to ride around the island, be warned that the path gets sandy in places – you’ll be pushing bike over mini sand dunes often and you’ll wish you had simply walked it. Walking around the island is best done in the late afternoon when the sun is low in the sky. Of the many sunsets encountered from any of the island’s sunset bars – this one particular spot (pictured left) is hard to beat for beauty. We loved the wooden drinking booths built on stilts above the shallow waters. Find time to stop here and you’ll see what we mean – this is the ideal vantage point to stop and take it all in. If you walk counterclockwise (turning right from the jetty towards the local ferry office), this sweet spot will be your first beer port of call. Walk around the island the other way, and you’ll end your walk here. Now it’s time for a bite to eat. Cheap and cheerful local flavours at the art market or a top quality seafood BBQ and meaty grill at Scallywags? Gili Trawangan’s nightlife works in mysterious ways. We tried to get definitive answers for you. Where exactly do the best beach parties take place?? Which nights are the best party nights?? Where are the most happening full moon parties?? All these questions met by shrugs and cheeky knowing smiles. The one thing that’s guaranteed: there’s always a party (or a few) going off on Gili Trawangan every night of the week. But you’ll have to follow your intuition, and the crowds. Just get involved. Most people wake up on Gili Trawangan on a Saturday morning with a pounding headache and nauseating cold sweats. 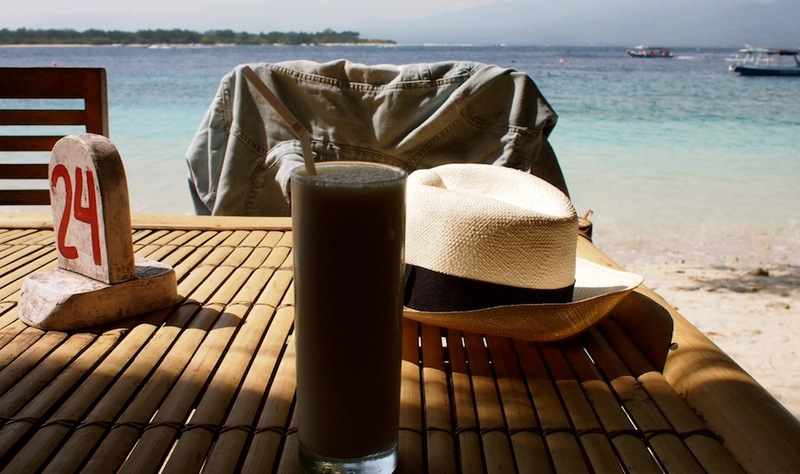 Lucky for you, a quick refreshing dip in the ocean and cold coconut water will sort it right out. If snorkeling is too big a task for your frazzled senses to take on, then hop on a glass bottom boat and see the island’s best coral reefs anyway. Looking for more activities to fill up your day? Check out these 25 things to do in the Gilis on island time. There are only two ways to recover from a heavy Friday night. Tuck into a wood fired oven pizza (no sharing) and wash it down with a slice of chocolate cake, it works wonders on battered stomach lining. Then you can either take it easy with a few friendly Bintangs and mellow out at a bonfire on the beach. Or you can go hard and get back on it before your hangover has time to settle in. That’s where Gili Trawangan’s party boats come in. Party cruises start in the early afternoon and get you tanked before the sun sets. The party continues on shore till the wee hours of the morning. It’s almost time to go, but you still have the morning to get some last minute indulgences in before it’s time to go back to the real world. Take it easy with a healing massage or do a little island shopping and pick up a few pretty souvenirs. Island gift stores and twee boutiques are stocked with surprisingly good shopping.